Quarter Master Driveshaft Accessories UNIVERSAL - Dezod Motorsports Inc - Home of the automotive performance enthusiast since 2002. Need to upgrade or repair a Quarter Master driveshaft? 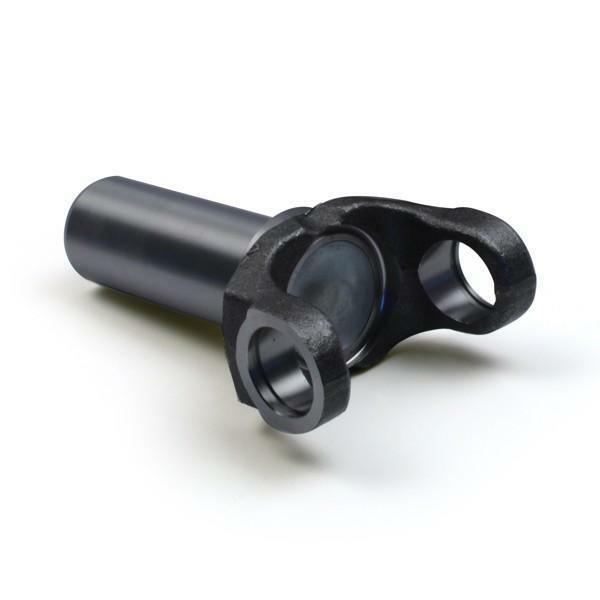 Choose from a full listing of Quarter Master Driveshaft Accessories. Quarter Master Slip Yokes fit most popular domestic applications in a variety of u-joint sizes. They are also available in extended lengths and heat treated versions. Quarter Master carries a variety of high-performance and Ultra-Duty U-Joints specifically designed tough enough to stand up to today’s demanding race applications. Cambering a solid rear axle-housing increases the tire contact patch with the track surface, thereby improving handling and lowering lap times. The axle tube assembly is machined with the desired amount of camber in it. Once the hub assembly is mounted on the offset snout and axle tube, the drive flange is no longer perpendicular to the axle spline. The Quarter Master Camber Flange uses a floating crown gear, which eliminates binding better than a standard crowned axle shaft.